CINCINNATI -- By a host of measurements, the opioid epidemic delivered another year of devastating blows to countless families and communities in 2017. Overdoses and deaths from opioid use remain at record levels locally. The number of children taken from drug-addicted parents has hit the highest levels logged in decades. Also alarming: HIV and hepatitis C infections fueled by IV drugs users have spiked to concerning levels across Greater Cincinnati and Northern Kentucky. The troubling trends appear to be a clear signal that the crisis isn't curbing. But there's little evidence to suggest that incidents are occurring on a large scale -- if at all -- officials say. "Individuals are not out there trying to figure out how much higher they can get because Narcan is available," said Dr. Shawn Ryan, who leads treatment and recovery programs at BrightView, a Corryville-based addiction treatment provider. 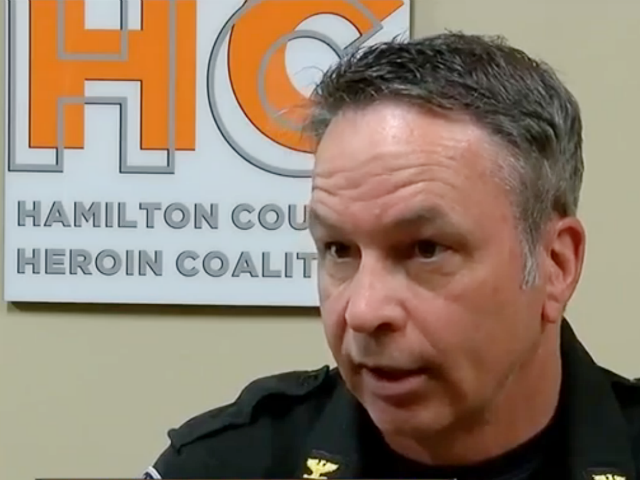 Newtown Police chief Tom Synan, who is a member of Hamilton County's Heroin Task Force, agrees. "The problem with the rumors: One, it causes this hysteria. And, two, it makes it difficult for us to get past the stigma," he said. "When you have information that is not accurate, or solely based on someone's opinion… it makes it difficult for us to try to move forward on this issue." The facts: This misinformation can be deadly, said BrightView's Ryan. "Detox" has long been the term used to describe the process of a drug user or alcoholic allowing the substances they abuse to move entirely out of their system by relying on the body's natural ability to process and expel toxins. "We need to get away from the word ‘detox' because it doesn't appropriately describe the medical process that patients go through," Ryan said. "That should be called ‘withdrawal management. A diabetic may do a great job managing their diet but you don't detox them off of their medications." "They end up at a rehab for five days or a ‘detox' for five days. They get out. And, not surprisingly, their tolerance is down," he said. "They're in a very dangerous situation and if they use again in previous doses, they could die." The approach proven to be safer and show better results includes providing patients medical assistance and FDA-approved medications that help make the detox process more tolerable. After the patient is determined to be at a "stable state," then they can begin longer-term medication-assisted treatment combined with counseling and behavioral health management. "We know without doubt that medical assisted treatment for opioid use disorder is the best treatment available. Period," Ryan said. "The studies are profound. They're large. They're well done. They're very scientifically sound." The research underscores what recovering heroin users like Stephanie Schaffner, a 30-year-old Mason resident, has discovered since entering a medication-assisted treatment program at BrightView last February. "If had just detoxed and gotten clean without counseling and group therapy, I don't think my sobriety would have lasted as long as it has," said Schaffner, who abused heroin and crystal meth for eight years. "If I were to have just gone back to the job that I was doing, the relationship I was in, the place I living -- I would have instantly relapsed." The myth: Someone has to hit "rock bottom" before they'll decide to get help. "We don't treat any other disease state like that in the United States," Ryan said. "We don't wait until someone's leg falls off from diabetes to start insulin. Right?....The rock bottom of this disease state is often the bottom of a coffin." 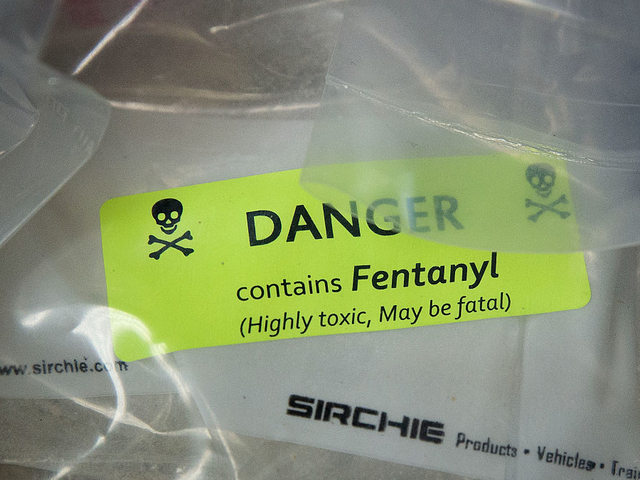 Here's one reason why opioid addiction can be so deadly -- even for users who are just beginning: As more powerful opioids, such as fentanyl, end up in the region's illegal drug supply, many users are unknowingly ingesting drugs that can be 10 to 50 times more potent than heroin. "I was pretty consistent with the people that I purchased from," Schaffer said. "Everyday I would see the same people, and spend the same money, thinking I was getting the same thing every day." It wasn't until Schaffner entered recovery and saw her drug screens for the first time that she realized the risks she had been taking. Doctors told her it would take longer than expected for the drugs to leave her system because they discovered fentanyl in her test results. "I'm like, ‘Excuse me, What?,' she recalled. "I had no clue that's what I was getting." The facts: For a lot of reasons, that's not always the case. In Schaffner's case, she managed to hide her addiction from her family for more than eight years. "I was really good at lying," she said. "Even my mom, who thought ‘I know my kid, I know I know my kid,' had no clue." "When you notice those channels of communication are shut off, and they stop talking to you about simple things like how their day was or how other relationships in their lives are going -- those are signs," she said. Let the people you're concerned about know there are experts trained to help them through recovery and places to go if they're ready to that that step. Clermont County Crisis hotline: 513-528-7283 or visit www.crisischat.org. Centers for Chemical Addictions Treatment: 513-381-6672 or visit ccatsober.org. Substance Abuse and Mental Health Services Administration hotline: 1-800-662-HELP (4357). Also known as the Treatment Referral Routing Service , the line is a confidential, free, 24-hour-a-day, 365-day-a-year, information service, in English and Spanish, for individuals and family members facing mental and/or substance use disorders. This service provides referrals to local treatment facilities, support groups, and community-based organizations. Callers can also order free publications and other information.